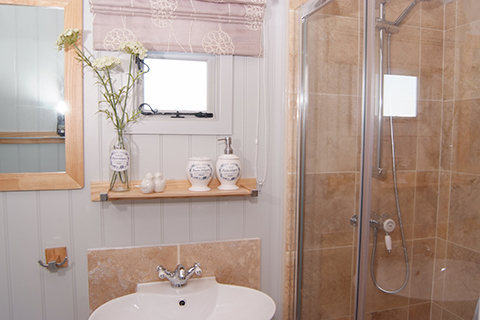 While staying with them you will be able to familiarize yourselves with the peace and tranquility of the countryside on your doorstep in this beautiful part of Devon. 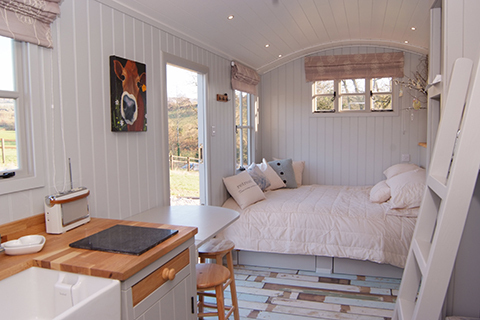 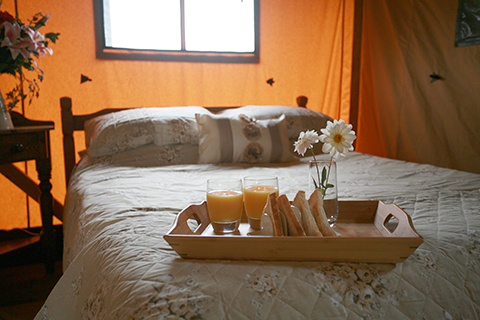 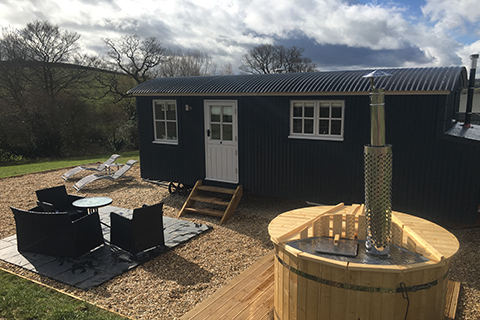 Whether you would prefer to relax in your luxury tented lodge or shepherds hut you can collect fire wood for the wood burning range cooker or camp fire, sit back and relax in your private wood fired hot tub, fish on our private lake, explore the local area or see the day to day running of their farm there is ample for you to do whilst on your stay. 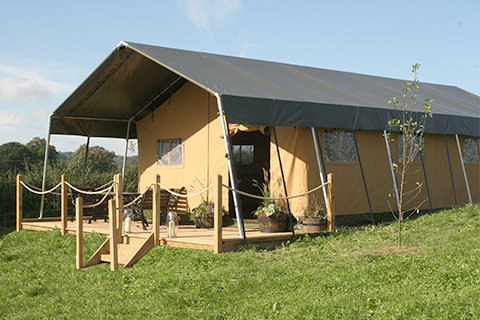 Knightstone Farm will endeavor to make your Glamping holiday with them a wonderful experience you will never want to forget.